Peter explores the city after an overnight snowstorm. 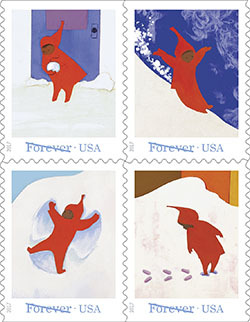 You know it’s a classic when they create a Forever postage stamp! Check out this author study of Ezra Jack Keats made with kids in mind!